Ford has launched its Ford Fiesta Classic on 7th April in Chennai and previewed its Ford Fiesta 2011 new model on 14th in Delhi- check out detailed Video Review of Ford Fiesta 2011. With the Fiesta classic launched at starring price of Rs.5.49 Lakhs, and Ford Ikon phased out completely from India, Ford has made the shores clear for the upcoming Fiesta 2011. As per the latest developments, Ford dealers have started accepting the pre-launch bookings in India. 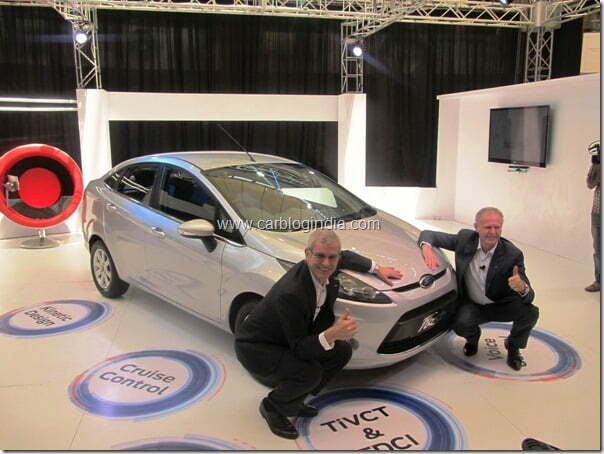 The price of the new Ford Fiesta 2011 is yet to be disclosed. The official launch is expected to happen somewhere close to June 2011 with deliveries to start from July 2011. A new competing sedan, the Hyundai Verna RB’s launch is also due in May 2011 for which the pre-launch booking have also started, which might be the reason for Ford bringing out Fiesta 2011 earlier than the original plan for end of year 2011. Ford Dealers are accepting the token amount for accepting advanced pre-launch booking of the Ford Fiesta 2011.